Review: The Art Institute of Atlanta is a college of creative professional studies with a tradition of education focused on careers. About seventy-five percent of the college's 2650 students are from the state of Georgia, with the other students coming from forty-two different states and thirty-three countries. 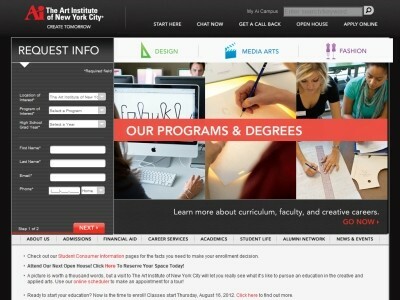 Program offerings at the Art institute of Atlanta are reviewed regularly to stay current with the needs of a rapidly changing business environment. Students may attend day or evening classes in most programs. The Personal Track program offers an opportunity to take classes for credit on a part time basis. Location & access map for "Art Institute of Atlanta, The"